The Kwegu in Ethiopias Lower Omo Valley are starving because of the destruction of their forest and the slow death of the Omo river. Survival International, the global movement for tribal peoples’ rights, has received disturbing reports that the smallest and most vulnerable tribe in Ethiopia’s Lower Omo Valley is starving, as a result of the destruction of their forest and the slow death of the river on which they depend. 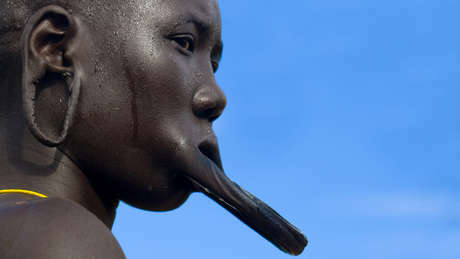 The Kwegu, who number just 1,000, hunt, fish and grow crops along the banks of the Omo River. But the massive Gibe III dam and associated large-scale irrigation for commercial plantations on tribal land will stop the Omo River’s floods, and destroy the fish stocks on which the Kwegu depend. Recent satellite images show that the Ethiopian government has started to fill the Gibe III dam reservoir. Many now report that their beehives have been destroyed by the government’s Kuraz sugar plantations and that their sorghum crops along the Omo riverbank have failed because there has been no flood. The Kwegu have become dependent on food from neighboring tribes to survive. A member of the Suri, a neighboring people to the Kwegu, told Survival earlier this week, “The government has told us to live in new houses but we don’t want to… They did not try to explain what they were doing or ask us what we wanted." Ethiopia is one of the largest recipients of USA, UK and German aid. DfID, the UK’s donor agency, recently announced it will stop funding a program which has been linked to the forced resettlement of tribes. However, it has not reduced the amount of its aid to Ethiopia and makes no reference to the resettlement program. A Kwegu boy outside his hut. 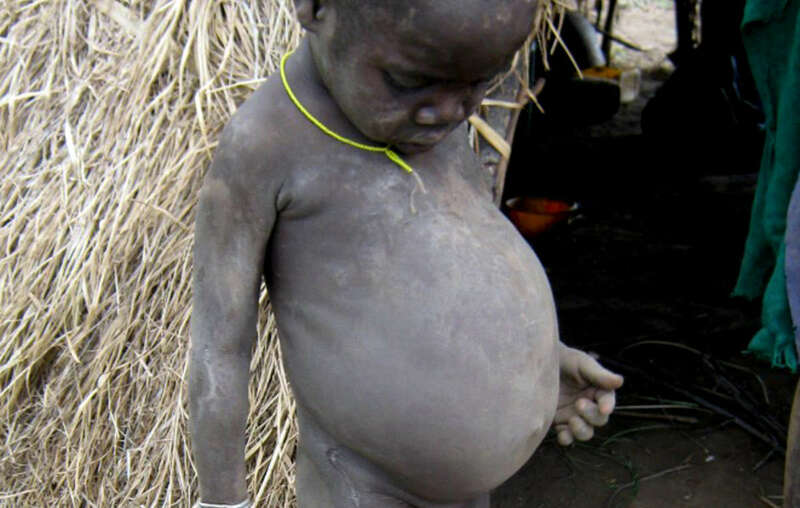 The Omo Valley tribes are finding it hard to feed their children in these times of drought. This photo was taken in 2010. A report of a donor mission to the area in August 2014 by the Development Assistance Group – a consortium of the largest donors to Ethiopia including USA, the UK, Germany and the World Bank – has not been released, despite the growing humanitarian crisis in the Lower Omo. - The interviews were filmed in 2012 when the Kuraz Sugar project started clearing Kwegu land.